Relative to the tumultuous growing season for the 2014 vintage, we were ultimately very pleased with both our received quantity and even more so with its quality. This year’s growing season ran seemingly ran through the full gamut of weather outside of snow! Our yield of 76 tonnes meant we were down by around 15% from our average tonnage of around 90 tonnes. There are several reasons why our relatively limited crop reduction wasn’t as severe as the majority of producers (Victoria wide). The following synopsis relates to our experience of the 2014 harvest and may of course differ to the experiences of other producers in our region. First we have frost protection on the risk areas, this alone saved about 1/3 of our potential crop as we experienced over a dozen frost events that overall would have had a devastating effect. Also due to the warm winter, bud burst was the earliest we have seen, so the period of exposure to frost risk was also the longest we have experienced. The next phase from here was flowering and the cooler than normal spring became a saving grace as it delayed flowering until almost after the cool spring broke sparing flowers being poorly pollinated during that inclement weather. Saying that we didn’t completely bypass the effects of a cool spring, as generally speaking berries and bunches were smaller than normal, but again not as dramatic as some of the stories we have heard from other regions such as Yarra Valley & Mornington Peninsula. We believe that as these regions are relatively warmer than the Macedon Ranges & their vines were potentially exposed to the more unfavourable elements of the weather throughout the flowering phase. Next up was the heat wave that arrived in summer and the relative lack of rain that came with it. Post flowering, our main challenge was adequate irrigation which we were on top of from the get go. Our vines are also privy to some outstanding soil. With essentially no clay base our vines roots go deep, and on top of targeted irrigation (as well as fertigation as required) meant they never unduly suffered from water/heat stress which again is reflected in our relatively good bunch sizes and overall vine health. Also veraison was completed outside of this hot period, meaning that the mostly green hard berries were relatively unscathed by those conditions. Again these are conditions that were experienced in the warmer Victorian regions that our site/region avoided. The hot weather also slowed down ripening as it closes down vine respiration , delaying development which in this instance was very favourable for us. Once the heat subsided and cooler weather returned we experienced very good ripening weather, the absence of heat spikes again was very favourable sugar development & low acid degradation leading to very balanced, powerful yet poised fruit. Harvest itself was ultimately trouble free, albeit not stress free, as after being seemingly absent for so long, rain returned. One particular period threatened to deliver up to 130mm over two days, we escaped with only 40mm over a 4 day period. If anything this only served freshened up the vines and had negligible impact on the fruit. We appreciate that this rain did hit some areas of our region, so we consider ourselves very lucky here. Luck, or the lack of it, is unfortunately a part of farming, especially with weather experienced in the harvest. In summary, we are more than satisfied with our crop both in terms of quantity and quality. 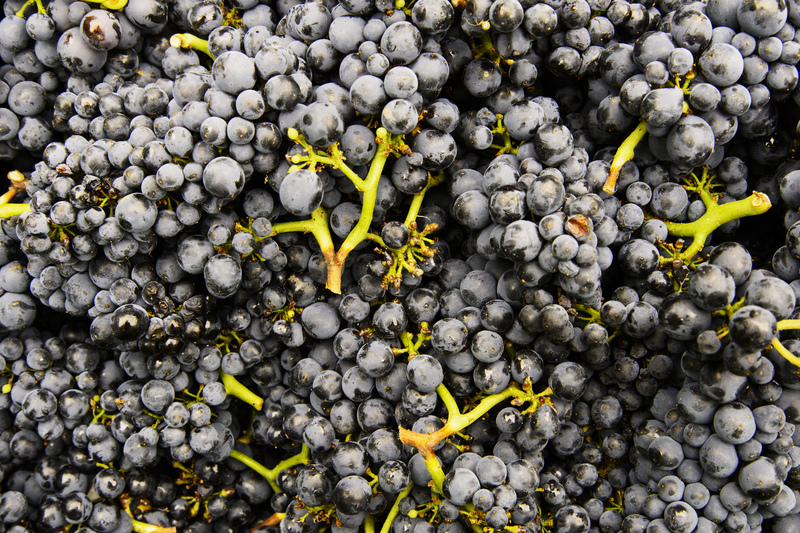 The Pinot Noir in summary is aromatic, powerful but balanced with a wide flavour spectrum as well as great acid backbone which suggest quite a long life ahead in the cellar. Our Chardonnay is equally promising, with its ripe fruit profile and great balance of natural acids which will allow us to proceed with MLF for extra dimension. Of course, as always, the only element remaining is time in barrel and for that we’ll just have to wait! Previous Previous post: Exciting times and an anxious wait….